The Maine Department of Agriculture, Conservation and Forestry (DACF) is seeking the public’s help in locating ash trees sold by a major retailer in Maine this summer. 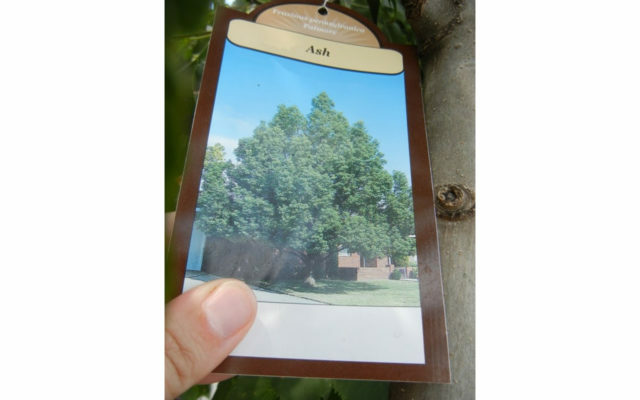 AUGUSTA, Maine — The Maine Department of Agriculture, Conservation and Forestry (DACF) is seeking the public’s help in locating ash trees sold by a major retailer in Maine this summer. Entomologists are concerned that they may contain emerald ash borer (EAB), a tree-killing insect that wipes out ash trees in areas where it is present. If you have possession of one or more of these plants, please send a picture of the tree, tree tag or sales receipt to forestinfo@maine.gov. Trees which are confirmed to have been part of this shipment will have to be inspected and possibly destroyed. Reimbursement for the cost of the trees will be arranged. To report an ash tree purchase, please contact: forestinfo@maine.gov or (207) 287 2431.